In my ongoing mission to see if reading the classics makes me a better person, I come roaring down the runway to meet Catch-22, said to be, along with To Kill A Mockingbird, one of the greatest American novels of the last century. Despite knowing it spawned a phrase from its title and that it featured army pilots, much else of the detail had escaped me. Captain Yossarian is a pilot assigned to the Mediterranean island of Pianosa. He’s furious because people keep trying to kill him, which may have something to do with the fact it’s the height of the Second World War. He is desperate that he should return home alive but his officers keep upping the number of missions he has to complete before he can go. The only way out is to declare he’s crazy, but there’s a catch. Catch-22 in fact. If he refuses to fly the missions, then he must be sane, so he has to fly them. If he accepts the missions, he’s obviously crazy because only a madman would want to fly during a war, and he doesn’t have to do them. That’s one hell of a catch. Surrounded by friends and enemies – some of whom are on the same side – Yossarian must find a way to keep his head while losing it and make it out of the war alive, without sacrificing another friend. But it’s not going to be as easy as that, as everyone is plotting to keep themselves safe too. 28-year-old Captain Yossarian is the main character and is determined to survive the war, eventually refusing to fly anymore, but it’s hard to say that there are any minor characters. Most chapters take the name of a character and show their involvement in the unfolding drama. The list of characters is enormous but includes: Colonel Cathcart (who continually raises the number of missions the men have to fly), Doc Daneeka (self-obsessed medical man), Milo Minderbinder (who is running a syndicate and only does things if they gain him a profit), Nately (who has fallen in love with a prostitute), Scheisskopf (who is obsessed with parades), Clevinger (who disappears on a flight one day), Major —— de Coverley (who is feared but rarely seen), Major Major (who can only be visited while he’s out of his office), General Dreedle (who is apathetic towards war unless the men fight and die on demand), Nurse Duckett (who sleeps with Yossarian), Hungry Joe (a pervert and photographer), Orr (a bomber pilot who always crashes), McWatt (who seems crazy because he has remained sane), Sergeant Towser (de facto head of the squadron), and Chief White Halfoat (a Native American whose family had to keep moving because they always settled where oil was found). That’s barely half of them. It’s an amazing cast and everyone feels nicely sketched out and there aren’t any superfluous cast members. It’s just a task remembering who’s who and who outranks who else. I need a diagram. The confusion of characters is compounded by the fact that the story doesn’t follow a strictly linear path, and jumps about in the timeline showing the same events from different angles. Personally, my favourite characters are Yossarian, Major Major and Chaplain Shipman, and would happily have taken a story just about those three. A primary theme of the novel is paradox. Aside from the central one of being too mad to fly, every other page seems to contain someone making a statement and then saying the opposite immediately afterwards, either forming a joke or sometimes to highlight the insanity of the world they inhabit. Early on we see a character described as, “good-natured, generous and likeable. In three days no one could stand him.” Nately at one point declares, “Anything worth living for is worth dying for”, only to be told in return, “Everything worth dying for is certainly worth living for.” People adopt one another’s personas and illnesses in hospital to confound doctors and keep themselves in there longer and away from the planes they have to fly. The world here is a complicated mess where people are brought up against their superiors for not doing things, mediocrity is applauded and dead people are thought to be alive and the living are considered dead. Frankly, my biggest issue comes down to the novel’s length. Yes, it definitely is funny, but I’d got the joke by about 150 pages in, and my edition clocks in at over 500. That’s a lot of extra time spent on something I thought we’d already covered. However, in saying that, it needs the ending it has. Towards the end, the jokes and lighthearted mood is stripped away and we see the true horror of war for what it really is. War is, after all, not a joke, and the stark reality of it hits you in the face like Orr being hit in the head with a woman’s shoe. I’m not a bit sorry I read it, and I can see why it’s lingered. Heller has done something pretty cool here, but rather unlike anything I’ve read before. Rumours are odd things. Once ignited, they either fizzle out due to lack of interest, or they explode like fireworks and pepper the world with their, sometimes dangerous, fallout. During World War II, rumour was everywhere, and both the Allies and Axis powers wanted to know what was going on with the other side. But among all of this were the ordinary people, some of them connected to the bigger picture, but others not. Our stories all interweave and in this novel, weaving stories join up with rumourmongering and the tarot to create an immense tapestry, providing a possible history of the last seventy years. At its core, this is the story of a manuscript containing official secrets that is passed through the hands of various people from secret agents to prostitutes, from actors to science fiction writers, from 1941 up until the present day. However, the book is so much more than that. It’s about Rudolf Hess’s bizarre journey to Scotland during the war, the Jonestown massacre in Guyana, the possible existence of alien life, the evolving form of science fiction, and the all-consuming nature of cults. Each chapter is named for one of the Major Arcana trump cards in a tarot deck, and each one has a different narrator, style, mission and tale. They are out of order, the book leaping backwards and forwards through seventy years, building up a picture of what might have occured. The story is bookended with the narration of Larry Zagorski, a science fiction writer who becomes quite well-known through his life for his excellent novels and short stories. In the 1940s, he is a starving artist, selling stories to magazines for mere pennies, but his skill and acclaim grow over the years. He would be an interesting enough narrator on his own, but the story expands extensively from his version of events. “The Moon” tells the story of what happened when Hess left Germany and flew to Scotland. “Adjustment” is the tale of Larry’s teenage sweetheart Mary-Lou and her foray into the world of science fiction filmmaking. “The Magician” is the story of Ian Fleming (yes, that one) while he still worked for the secret services and his meetings with Aleister Crowley (yes, that one). “The Hanged Man” is the document that is being passed through various hands, written by secret agent Marius Trevelyan. And “The Tower” is Larry’s biography from an outsider. While occasionally convoluted, the story does eventually tie up and provides a possible explanation to what led Hess to make his strange journey, what UFOs might actually be, and where Ian Fleming got his ideas for his novels from. It’s a dense tale, but the characters are very human and even Hess comes across as simply a man who was easily led and dangerously infatuated with Hitler, rather than a force for evil. He was, after all, attempting a peace mission. The use of the tarot cards for the basic structure is a clever one, as the book is about the future and the occult. Science and magic get confused here, even moreso once L. Ron Hubbard turns up, having convinced himself that his novels are accounts of things that really happened, but everyone, whatever their belief system, is thinking about the future. A few of the tarot names are changed (Justice becomes Adjustment, Strength becomes Lust, Temperance becomes Art) but these are reflected in the story. There’s a continuing theme throughout also about the place science fiction has in society throughout history. In the forties, the future still seems far away, but as Larry and Mary-Lou grow up, the things they wrote about – space travel, atomic weapons – become reality. There’s a suggestion that science fiction writers are the real prophets of the planet, always second-guessing the future and then becoming obsolete when it arrives. By the end, Larry even notes that in the thirties he wrote a story set on Mars in 2011, the year he’s now living in. There’s a moment of sadness as his discusses that humanity was turned in on itself. Where once it used to look out to the stars and seek answers, now it seems unable to think outside of the atmosphere. Even most of the satellites we’ve sent up since 1972 are there just to look back down on Earth, he laments. It’s a book that requires your brain, but that’s never a bad thing, and it’s definitely a fun and engaging tale, providing you can keep on top of who everyone is and enjoy genre switches as routine. A smart blend of fact and fiction. Tommy and Tuppence Beresford are unique in the Christie canon as they are the only protagonists she has that age in time with the real world. When we first met them, they were in their twenties and simply old friends. They turned up again a little later, now married. As it is, the world has now changed greatly, and so have our heroes. It’s 1940, war is upon us, and with two grown up children and middle age descending unwelcomingly over their lives, the pair are once again bored. The war effort doesn’t want them, and they need something to do. And then a Mr Grant turns up and offers Tommy a job in Scotland, involving some top secret paperwork. Once Tuppence leaves, however, Grant changes this offer – Tommy is to go undercover in the search of Fifth Columnists on the south coast. Ashamed of having to hide the truth from Tuppence, he nonetheless heads off to the hotel Sans Souci to do his sleuthing. Upon arrival, he meets the various residents which include the ditzy young mother Mrs Sprot, fearsome Irishwoman Mrs O’Roarke, German refugee Carl von Deinim, blustering old soldier Major Bletchley and Tuppence Beresford. As it turns out, little gets past her – she heard of the plans and beat Tommy down here to join in the search. Now under their guises of Mr Meadows and Mrs Blenkensop, they must investigate all the staff and residents of the Sans Souci, any of whom could be taking secrets from the British and sharing them with the Nazis. And after Tuppence overhears a phone call in the hotel, they soon find that they may be very quickly running out of time. 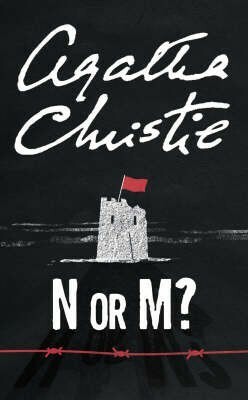 They must find out the true identities of the mysterious N and M.
The five Tommy and Tuppence novels are different to the Christie fare, as I’ve said before and all other readers have noted. The focus is less on the whodunnit, and more on having adventures. These are spy novels; thrillers rather than the cosy crime we expect of Marple and Poirot. This doesn’t make them any less interesting, however. There is still a mystery element, but the action is fast-paced and the tropes of adventure are present. Tommy remains solid and stalwart, but it is Tuppence who I prefer of the two. A heroine in her forties – a rare thing indeed, the only other one I could name right now is Thursday Next – but refusing to accept that women are weaker than men. In fact, the novel is packed with strong female characters. Tuppence doesn’t falter when the call comes, indeed, doesn’t even get the call but answers anyway. She is a wonderful creation. The story has a few odd contrivances, such as a perfectly placed bar of soap, and a bizarre moment when someone communicates in Morse code via snoring. Still, you go with it, and you want the heroes to thrive. Like many Christie books (sadly), there is a touch of racism about the thing, but in this case it is fairly justified, the characters being English people during World War Two, who are naturally unfriendly towards the Germans. This makes Carl von Deinim the prime suspect, but surely that’s too easy, isn’t it? However, the book makes an acceptance that while the Nazis are deplorable, it is not all the German people. Tuppence feels pity for those German mothers who have lost their sons at war. Still, there’s a number of comments along the lines of describing people as having Prussian faces and distinctly un-British jawlines. This is a great, fun book which plays with your expectations and keeps you hooked until the surprising conclusion. The Beresfords return again in By The Pricking Of My Thumbs, which will undoubtedly be on this blog before too long as well. Every so often, a book comes along that blows everything else out of the water; a game-changer, one that rewrites the rules for a genre or for the whole literary scene. Even rarer than that is a whole series that manages to do such a thing. It also appears to me in my experience and that of my friends, that trilogies and the like don’t always measure up to the first installment. We are more familiar of this in the world of film, where sequels are made constantly and without anyone asking for them. (As an aside, did you know that Hollywood is currently working on sequels for Shakespeare In Love and The Naked Gun?) I have friends who are fans of both Twilight and The Hunger Games, but generally openly admit they decline in quality over time. 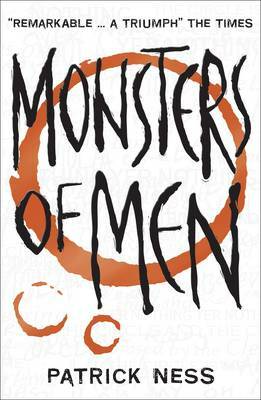 But then you have Patrick Ness and the Chaos Walking trilogy – three books that maintain a level of sophistication and excitement for over 1500 pages. This is the final installment. This is where it all comes to an end. NOTE: Below there will be spoilers for those who haven’t yet read the first two books in the Chaos Walking trilogy. Read on at your own risk. The novel opens in the heart of the action as Mayor Prentiss’s army, Mistress Coyle’s freedom fighters the Answer, and the native Spackle are all preparing for war – three sides and there can only be one winner. At the same time, the first new settlers – Simone and Bradley – have arrived and are finding themselves thrown into a situation that they do not understand. War is brutal and fast, and peace negotiations are slow to take hold, as Prentiss and Coyle fight among themselves to see who will get the honour of being the hero of the hour, rather than fighting together to take down the Spackle. But among them all still sit Todd and Viola, neither of whom want war and would rather everyone stopped fighting altogether, for the sake of humanity, and for the incoming settlers. As all the armies struggle, everyone must make life or death choices that will affect everything else from now on. Should the Spackle be bombed? Should the river the men were relying on be dammed? Should they find a cure for the infected bands that are affecting all of the women? It may be every man for himself in these difficult times, but they’re going to have to work together if they have any chance of peace. Like the first two books, this one is fast-paced, tearing through the plot at almost breakneck speed like Gromit laying track while riding a model train. You are so caught up in the action, and the constant switching between three narrators (Todd, Viola, and a Spackle that hates Todd, known at first only as 1017 or The Return) that the six hundred pages slip out from under you. Again, there is a constant theme of choice here, about grey morality, but other themes come back bigger and better. Ness is writing about torture, terrorism, feminism, genocide, but for a younger audience and he is nailing it every single time. There’s an ever-present sense of ambiguity, as you feel you aren’t always being told everything but still have to make a painful decision somewhere along the line. Ness refuses to talk down to his readers, meaning that absolutely anyone can and should read these books. There are some wonderful moments, such as the introduction of a Spackle narrator, who allows us to see that the species has evolved a sort of hive mind, allowing them to communicate at all times, and always know what everyone else knows. 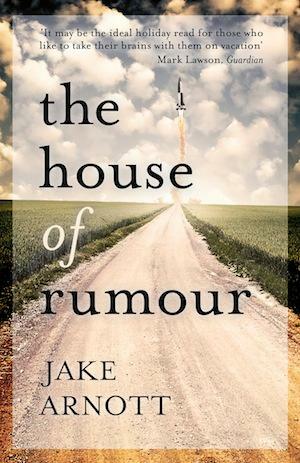 They call themselves the Land and are led by one known as the Sky, who seems to be the only one capable of keeping secrets – and boy does he have some secrets. The new settlers are a great addition too, Simone being a dazzling, intelligent woman, and Bradley being the first character we’ve met before and after he gains the Noise. We see the struggle there is to adjust to it. Todd is at his finest here, constantly appearing to save the Mayor’s life despite his insistence that he wants him dead, and Viola is a great addition to the pantheon of female role models in the genre. The idea of having the older characters be somewhat shifty means you can never be totally sure whose side you’re supposed to be on. The Mayor calls himself a general and Mistress Coyle a terrorist. She in turn refers to herself as a freedom fighter and him as a mass murderer. Everyone’s truth is different, and everyone is the protagonist in their own story. Like all good science fiction, this is about humanity, about how we seem to consistently have to destroy everything we create. As Bradley says, “Do we hate paradise so much we have to be sure it becomes a trash heap?” The book does end on a slightly more hopeful note, but there is still so much potential there and the cliffhanger, as I’ve come to expect from the series, is far from slight. Still, this was a good place to end. We don’t need to know what happened next, we can imagine, and we can imagine for the better. This series is incredible and I won’t hesitate to recommend it to absolutely anyone. Powerful, startlingly well-written and a page-turner from start to finish, I don’t think I can fault it. As I said in my review for The Ask And The Answer, this is how you do young adult fiction, but I’d like to amend that. This is how you do fiction. All writers should aspire to be as sure of themselves and their worlds as Patrick Ness is here. The books seem to be gaining a small following, but they deserve far more, and I have absolutely no doubt that they will get it.